On this page, you will find all videos and video interviews made for the EU Horizon 2020 INVADE project. INVADE Exploitation Workshop, part 3: Watch the recorded live stream of the INVADE Exploitation Workshop in Copenhagen on Wednesday, March 6th 2019. INVADE Exploitation Workshop, part 2: Watch the recorded live stream of the INVADE Exploitation Workshop in Copenhagen on Wednesday, March 6th 2019. INVADE Exploitation Workshop, part 1: Watch the recorded live stream of the INVADE Exploitation Workshop in Copenhagen on Wednesday, March 6th 2019. This is INVADE Horizon 2020: Watch the official INVADE film and learn how the EU funded Horizon 2020 project will impact society and affect your everyday life! Highlights from INVADE OSLO 2018: In this video, several of the conference speakers and participants talk about why they are attending and what they have learned during the one-day event at Oslo Airport Gardermoen. The Albena Pilot: Within the INVADE project, centralised electrical energy storage will be installed at a transformer substation that supplies two hotels in Albena, Bulgaria. Watch Dimitar Stanev, Senior Business Developer and pilot site leader, explain what they are doing. INVADE Black Sea 2018 Workshop: On September 13th, the INVADE Black Sea 2018 Workshop was held in Albena, Bulgaria. It provided insight into the INVADE pilots and other European research and innovation projects. The video is a summary what was discussed during the workshop. Join INVADE OSLO 2018: Watch Smart Innovation Norway researchers Håkon Duus and Sanket Puranik tell you why to join INVADE OSLO 2018, conference on Smart Business of Batteries – Trends & Opportunities. Read more and sign up at https://h2020invade.eu/events/invade-…. Grand opening of test site for EV charging: On April 18th, Dutch State Secretary for Infrastructure and Water Management, Stientje van Veldhoven, officially opened the new Elaad test lab for research on EV charging in the business park Arnhems Buiten. Joseph’s top INVADE advice: Joseph Negreira, International Project Manager at Smart Innovation Norway, explains which challenges the INVADE project is facing and gives his best advice to ensure a successful result. 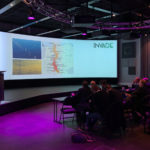 INVADE workshop in Oslo, March 2018: The INVADE workshop in Oslo on March 6th offered an ample opportunity to influence the outcome of the EU project and catered for future pick-ups of concepts, software, hardware, new services, analyses and more. The goal was to harvest input that could shape the pilots and research activities. The video displays the different particpants sharing their thoughts about the project so far. Sanket Puranik talks about the importance of INVADE stakeholders: The EU Horizon 2020 project INVADE has just moved into its second year and partners are currently trying to reach out to harvest input that can shape the pilots and research activities. How can different players in the electricity domain best capitalize on storage and the flexibility it offers? INVADE impact – How to make money in the new power market: Smart Innovation Norway’s Energy Systems researcher, Håkon Duus, talks about positioning technology for tomorrow’s energy market. Researchers talk about INVADE: We asked Smart Innovation Norway’s Iliana Ilieva and Jayaprakash Rajasekharan about their INVADE contributions, and especially; what makes the project so interesting?